homelikegrandmas has no other items for sale. 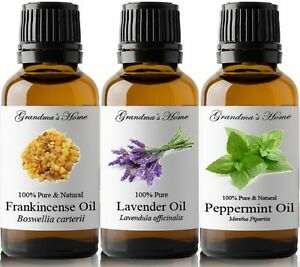 Details about Essential Oils 30 mL (1 oz) - 100% Pure and Natural - Therapeutic Grade Oil! There are 28,855 items available. Please enter a number less than or equal to 28,855. Great product. Very fast shipping. Highly recommended! Very diluted. No smell at all.Never buy again. product was dry in the bottle. Not 100%. Very light scent and does not smell like it should. Not real lavender. Made me sad to get a fake. Shipping was great though.